A construction site is a place which is particularly amenable to disaster. Several factors contribute towards this, such as the size of the site which is often quite huge. Other than that, there are a million things that can go wrong at these sites, owing to the dangerous equipment and material that is always present there in abundance. Relying on your employees on the site to keep everything safe and ensure that nothing goes wrong is irresponsible and unfair. So, it is recommended that you invest in a professional security services provider for construction site security. 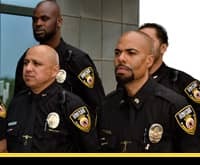 Understanding why professional security guards are a feasible option is important before making the investment, so here is a run-down of what the advantages of taking this step are. A construction site is an area which is prone to disaster in the form of fires and other accidents because of heavy equipment. Managing such equipment can be difficult, and disaster can strike in a matter of seconds. Furthermore, a construction site is full of explosive or flammable material and gases, all of which can ultimately lead to a disastrous event. The employees who are working on the site are often too preoccupied with their tasks to focus on their safety. However, when security guards are present on the site, they will keep an eye on all the happenings, and if they see something which might lead to any dangerous events occurring, they will take the necessary steps to maintain safety. Additionally, if something does go wrong, security guards have the training needed to respond appropriately, thus saving lives and property. As well as having the safety of security around the site, it may also be worth looking into getting the right form of insurance for your employees and business, in case anything was to happen. When it comes to accidents, sometimes, there is only so much someone can do. It is not only accidents that you should be mindful of though. It could be from theft to equipment damage that could require some research into sites like constructaquote.com. It only makes sense to want to cover and protect your business, so anything you do to ensure the safety of your staff and business will work out in your favour. Such sites are often huge and so accordingly, require large financial investments. This is another reason why protecting a construction site from damage is vital. As is already established, a construction site can be particularly harmful to those present on the premises. A person who is working on the site is completely aware of the dangers which they face every day. As an employer, it is your responsibility to ensure their safety. By employing a professional company to provide construction site security, you are showing your employees that you truly care about their well-being, which in turn fosters satisfaction amongst them, resulting in them working effectively. You also avoid the grave consequences of an employee or employees coming to harm when working on your property by taking this step. A construction site also poses a certain threat to people other than the workers. Sometimes, people, especially children can enter the premises out of curiosity which can have disastrous consequences. When professional security guards are present on the site, they will set up adequate boundaries and will provide patrolling services as well, ensuring that unauthorized personnel never enter the site. So, make sure that you have hired skilled security guards to protect your construction site.